March 13, 2012: Police Work: Symposium and Reception: A conversation about crime photography, highlighting the work of Leonard Freed and Weegee, who both captured violence and unrest on New York streets. Tuesday, March 13 at 6:00 p.m. Leading curators and critics will gather for a conversation about the crime photography of Weegee (born Arthur Fellig, 1899-1968) and Leonard Freed (1929-2006), whose work captured violence on New York City's streets in the tumultuous decades of the 1930s-1940s and 1970s. The importance of their images within the history of crime photography will be discussed by Gail Buckland, curator and author of Shots in the Dark: True Crime Pictures (Bulfinch, 2001); Paul M. Farber, visual/popular culture critic and Leonard Freed scholar, University of Michigan; and Brian Wallis, International Center of Photography Chief Curator and curator of Weegee: Murder is My Business on view at ICP through September 2, 2012. 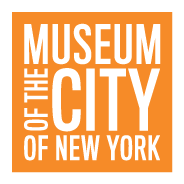 The Museum of the City of New York's Curator of Prints and Photographs, Sean Corcoran, will moderate. Presented in conjunction with Leonard Freed: Police Work, 1972-1929. Co-sponsored by the International Center of Photography and John Jay College of Criminal Justice of the City University of New York.